Welcome to New Vegas, a city once covered in bling, now blanketed in ice. Like much of the destroyed planet, the place knows only one temperature — freezing. But some things never change. The diamond in the ice desert is still a 24-hour hedonistic playground and nothing keeps the crowds away from the casino floors, never mind the rumors about sinister sorcery in its shadows. It takes quite a bit to capture and hold my attention in the dystopian genre these days. After the overwhelming success of novels like The Hunger Games and Divergent, the market has been over-saturated with these sort of stories and I often find myself disappointed by those I have taken the time to read. 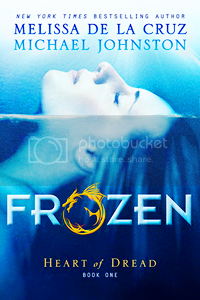 Though I’m becoming increasingly selective when it comes to picking out these type of novels, I knew I wanted to read Frozen by Melissa de la Cruz and Michael Johnston the second I heard of it. The unique setting (Viva Las Vegas!) coupled with the mention of magic and a city blanketed in ice is simply too tempting to resist. 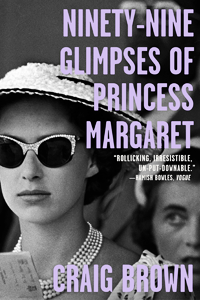 It also reminds me a little of Kresley Cole’s The Poison Princess, which I adored. I have very high hopes for this one! I’m really excited for this book too. I also love the sound of the setting and a city covered in ice has to be one of the coolest things ever! A great pick! I haven’t heard of this book before now but it sounds amazing. I want to read this one! Great choice. I’ve thought about reading this one, but I just haven’t liked Melissa de la Cruz’s books in the past – I don’t care for her writing. But maybe if she’s writing with someone else I’d like it? I think I’m just going to wait on reviews, because that blurb makes the book sound incredible, for sure! This one is on my “meh” list. I’m not a big fan of Melissa de la Cruz… so I’ll wait until I see some reviews until I decide if I want to read it or not. I’m pretty over dystopians, too. I rarely, honestly if ever, pick them up anymore. This one does sound interesting and I plan on giving it a try. I love that the O is a dragon on the cover. Great pick! I’m definitely hesitant to try dystopian – I just don’t see anything original or new being brought to the genre. That said, this one sounds like it could possibly be intriguing – and the blackjack part is super cool! – but I think I’ll wait around for some reviews before taking the plunge.